This musical allegory illuminates the opportunity for grace that's found in opposition. By comparing life to a journey to a promised land, Song for the River shares the comforting truth that difficulties on our journeys expose our weaknesses, causing us to call upon our Savior, who loves us and will never fail to help us progress on our way back home to Him. "...the message of "Song for the River" is more vital than ever." "It's a wonderful journey--one I'll take again and again. I always play my favorite, Fear is a Lie, twice." "'Song for the River' is an LDS Classic." 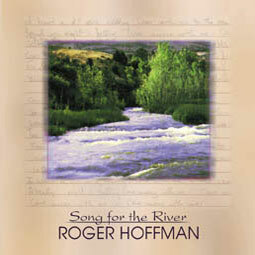 Click here for the Song for the River sheet music. Click here for Song for the River liner notes.